Gravestones in the cemetery at St. John's Lutheran Church, C.R. 32 and C.R. 15, were damaged during the storm. 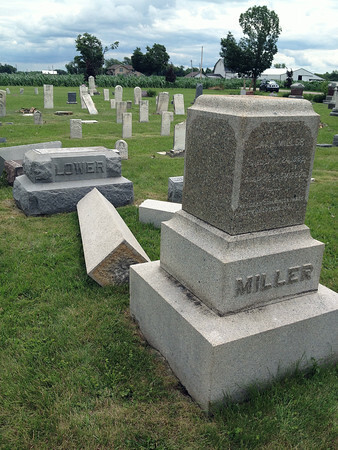 The top of the gravestone was knocked off the base, striking another gravestone and splitting into several pieces.